“We can’t escape history”, some wise person said many years ago. No matter how distant we think we are from our parents’ and grandparents’ experiences, we have been shaped by what they suffered or endured, and this influences the way we think and react to the world. Kirsten Warner’s lively and imaginative novel The Sound of Breaking Glass may not have been written to this thesis, but it’s a perfect illustration of it anyway. It is the story of a woman whose mind is stressed, torn and angst-ridden as a result of past events in her own life and in the lives of her parents. 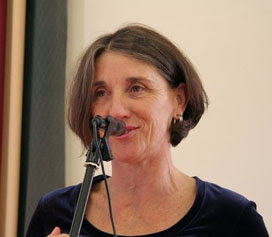 The novel is narrated in the first-person by Christel who, in the 1990s, is somewhere in her 40s and is working in Auckland as a researcher and deviser of formats for “reality” television. She has a pleasant blokey partner, Ted, and two amiable little children, Maisie and Jim, but they do not play a great part in her narrative. Instead the focus is on what happens in Christel’s mind. No matter what she does, she is addressed by a voice in her head called Big Critic, who tells her that she is a loser, or that she is wasting her life, or that she is not being aggressive enough in addressing others and building a career. Big Critic is sometimes male and sometimes female, and seems a clear dramatisation of Freud’s super-ego – that horrible policeman in our brain, nurtured by our upbringing, who keeps barking moralistic orders at us. We are at once intrigued by the question of how such an aggressive voice has come to dominate this woman. Other characters also haunt Christel’s mind – real people who have had some traumatic effect on her. Karate Man, a Frenchman who mistreated her badly when she was a young teenager; Teacher, who betrayed her trust when she was at high school; and Artist, whose drugginess seemed to show the way to Nirvana when she was a university student. Somehow, each of these people has disappointed or hurt Christel in a major way. Collectively they appear to have stripped her of an innocence which she now misses. Then comes the crisis point for Christel. As a television person looking for a good story, she gets involved with a group of women called WASP (Women Against Surplus Plastic) – an ecological group protesting the council’s plans to dispose of plastic by incinerating it. To help publicise their cause Christel, in a moment of inspiration, constructs a big man made out of plastic milk bottles. But in no time Milk Bottle Man takes on a life of his own and becomes yet another character in Christel’s ongoing psychological theatre. Benign or malign, he is something like a jolly giant gone awry, sometimes lashing out at her enemies and sometimes winking conspiratorially at her. In fact he’s a bit like the Golem, that protective and destructive figure of medieval Jewish folklore. Which brings us to the other major figures in Christel’s mind – her parents Conrad and Stella. Sometimes bellicose, sometimes bluntly truthful, Conrad is a devoutly atheist Jewish refugee from Nazi Germany who brought his New Zealand-born daughter up on indelible, and indelibly horrible stories. 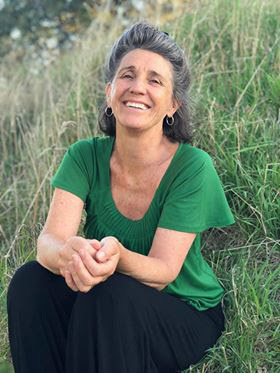 As The Sound of Breaking Glass works its way to the cleansing of Christel’s spirit, we understand that her connections with her parents’ often traumatic experiences are what have had the greatest influence of all upon her. Indeed once I understood this, I guessed that the name Christel could be intended by the author as a reference to the Kristallnacht, the night in 1938 when the Nazis went berserk and smashed up Jewish shop windows as part of an organised pogrom. This would relate it both to the title’s “breaking glass” and to the fragmented state of Christel’s mind, although the name is explained differently in the novel. And here I have to invoke two laws in reviewing. ONE: My “not-being-a-swine” rule, which I have mentioned often enough on this blog. Not being a swine means not giving away every twist and turn of a newly-published novel. 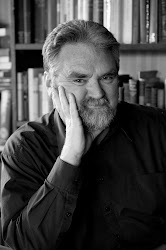 Novelists work hard to plant surprising or unexpected events in a novel, and it is not my intention to frustrate their effors. Suffice it to say that I have here given the most basic set-up to what this novel is about, for there are many detailed incidents in the stories of Karate Man, Teacher, Artist and Christel’s parents which you would prefer to discover for yourself. And some of them are very dark indeed and some involve explicit sexual details. TWO: My “remember the genre” rule. The Sound of Breaking Glass is a novel and not a work of sheer autobiography. Though written in the first person, and though the author occasionally butts into the narrative to comment on her own writing, this is not the “confessions” of Kirsten Warner, even if the names Kirsten and Christel are so close. Much of it is the product of a very fertile imagination. And yet there is clearly a very strong autobiographical element to it. As the blurb reminds us, Kirsten Warner’s father was the late Gunter Warner, Jewish refugee from Nazi Germany and survivor of the Holocaust. Like Christel, therefore, Kirsten Warner is a Second Generation product of those traumatic times and there is no way that this novel cannot reflect at least some of her own experiences. But I am judging it as a novel, not as autobiography. Most impressive is the way Warner is able to juggle a number of different time-frames without confusing the reader – there is the “present” (1990s Auckland), the narrator’s memories of adolescence and student days, and the past of her parents’ earlier lives. On top of this, there is what Christel recognises as literal reality, and what she knows are the products of her own mind. Despite her stress and all the characters who invade her brain, we know that she is essentially a reliable and intelligent narrator who is self-aware enough to separate the imagined from the physically real. Another obvious point is that Christel’s imaginings give the novel a rich strain of daunting and sometimes surreal imagery – a visual dramatisation of mental states. If confronting inherited trauma is the main theme of The Sound of Breaking Glass, there is also a strong thread of satire. It’s especially evident in the sections that deal with Christel’s work in television. (We note here that Kirsten Warner herself has worked as both journalist and television researcher). Darts are thrown at the whole concept of “reality” televsion, with Christel directed to chase up stories which, in effect, exploit non-media-savvy interviewees. (Christel rudely refers to her immediate boss at the television outfit as the Fat Controller). We also see how even good causes can be corrupted by the medium in which they are presented. Possibly some of the women in the WASP collective are sincere in their ecological protest. But, as often happens in stage-managed protests, exhibitionism and self-promotion take over, not helped by the fact that Christel is, after all, intent on making an audience-grabbing programme out of it. One member of the collective, called the Rock Star by Christel, takes over as spokesperson for the WASP women and knows how to play the media with sound bites that will enhance her own profile. The childhood and adolescence scenes ring true – memories of listening to “pirate” radio and going on anti-Vietnam War demos – as do the references to what Auckland was like in the 1990s. One minor reservation: The Sound of Breaking Glass seems to be wrapped up a little too neatly. Christel never reaches what is now often called “closure”. The past that has shaped and, in a way, controlled her, is still very much part of her being. But she is able to come to terms with it, put it into perspective, and cease accusing herself of faults or feeling so guilty all the time. In the last 25 pages of the novel this is made clear in straightforward prose rather different from the flights of fancy that elsewhere dominate. It may reflect accurately the author’s resolution of uncertainties in her own life, but it does make for a major change of style and tone. But as I’ve said, this is a very small reservation. 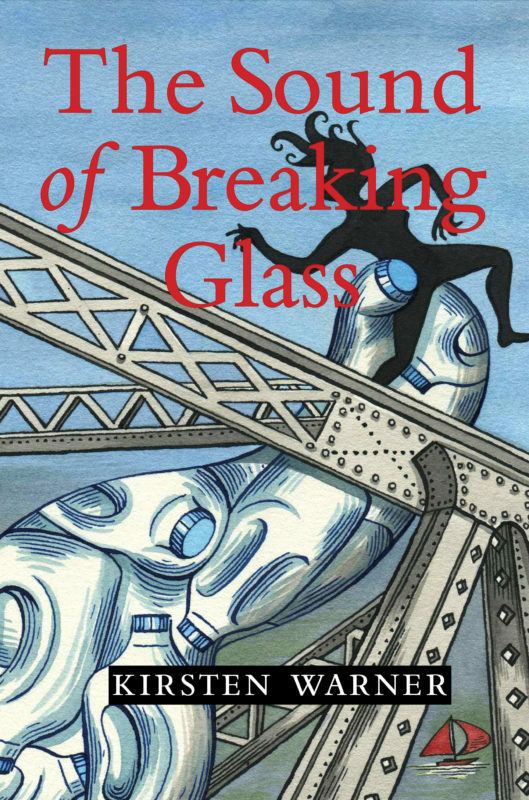 The Sound of Breaking Glass is an imaginative, vivid and heartfelt novel. That its style and approach are offbeat make it a more exciting read than other novels that have approached similar ideas.